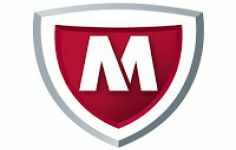 McAfee Labs Stinger is a utility developed to fight against malicious programs such as viruses,malware, trojans, etc.Having a base of regularly updated data , this tool is currently able to recognize more than 2,000 types of viruses, trojans and their variants. The software is developed to analyze rootkits, pre-loaded modules, registersand directories that may be infected . But if it is necessary to add a player ora specific folder in the scan, showing the way to the target is most sure thing to do. McAfee Labs Stinger offers options for customization. For example subdirectories, archives, files etc can be set to be scanned or not; also desired level of analysis (fast, medium, depth , etc. . ) can be set too. These features make thesoftware a good choice for protection.